Stand in solidarity with distressed flood-affected people. 100% of your contributions will be given to Prime Minister’s National Relief Fund. 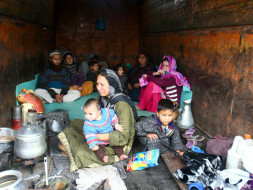 The state of J&K has been hit by historic flooding and largely submerged after monsoons flooded the area earlier this month. Since flooding began on September 3, 1.9 million people have been affected and the death toll is 474 and rising. With water levels receding, the focus is now shifting from rescue to relief and rehabilitation. One of the biggest issues going forward will be shortage of essential supplies to J&K - food, water, medicines and blankets – with winter fast approaching. We encourage our community to stand in solidarity with distressed flood-affected people in Jammu and Kashmir and be part of the national effort to support them in this hour of crisis. Do contribute generously towards this relief. 100% of your contributions will be given to Prime Minister’s National Relief Fund. All costs associated with your contribution (including payment gateway fees and wire transfer) will be absorbed by Milaap – this is the least we can do. A small help from my side.